ISLAMABAD: (DNA) – US President Donald Trump has written a letter to Prime Minister Imran Khan and has sought Pakistan’s help in solving Afghan mess and bring Taliban leadership to the negotiating table. Talking to senior journalists earlier today, the prime minister said Pakistan is ready to play its due role in ending the prolonged crisis. When asked to comment on the ongoing war of words between Pakistan and India foreign ministers on Shah Mehmood Qureshi’s ‘googly’ statement and Sushma Swaraj’s response, the premier said Islamabad is sincere in establishing peaceful ties with New Dehli, however, he added that Indian plan to instigate hatred has been foiled. 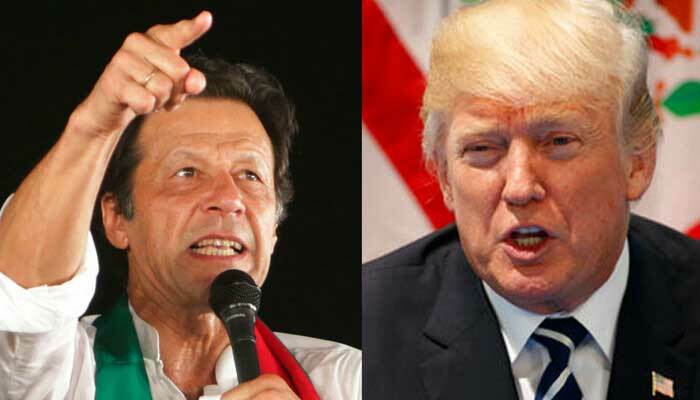 Previously Pakistan had been apologetic in its terms with the US but Pakistan Tehreek-e-Insaf government is very clear in its approach, he said, when questioned, how after a recent exchange of heated tweets Trump has approached him. The prime minister also spoke for the first time on the Supreme Court’s intervention in transfer and postings issues in the Punjab. “I was hurt on the chief justice’s remarks of ‘nepotism’ in Zulfi Bikhari’s appointment as Special Assistant on Overseas Pakistanis,” he added. “I am the one who is against such practices,” the PM stated.